It won’t come as a great surprise to many people that cream teas aren’t exactly the ideal food for those on a diet but everyone deserves a treat and cream teas are definitely worth it! For those that want to know the damage we’ve listed the nutritional information for a cream tea below. Obviously the amount of calories, fat and sugar in a cream tea can vary massively depending on how big the scones are, how much jam is applyed and how big the mountain of clotted cream is. 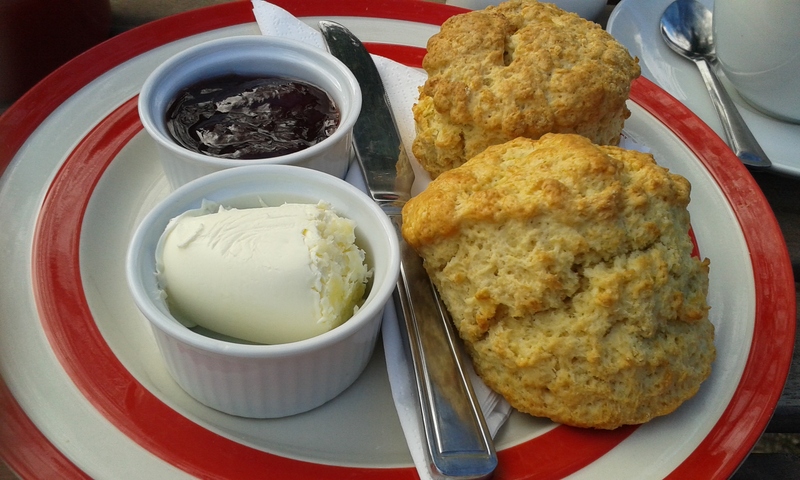 How many calories in a one scone cream tea? In a large cream tea, consisting of a large plain scone and a generous portion of strawberry jam and clotted cream you can expect the total number of calories to be around 670kcal. This is broken down into approximately 37 grams fat, 78 grams carbohydrates and 9 grams protein. For a smaller cream tea with a more conservative serving of jam and cream and a medium scone the calorie count can be reduced to around 400kcal, with approximately 22 grams fat, 45 grams carbohydrates and 5 grams protein. How many calories in one scone? 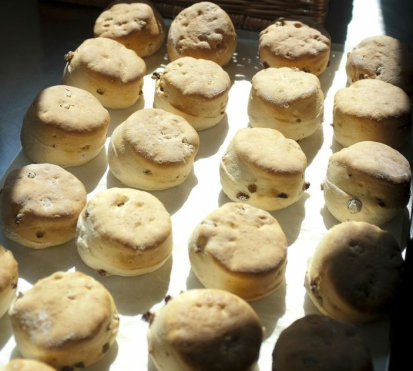 In a large scone you’re looking at around 360 calories with 12 grams fat, 56 grams carbohydrates and 8 grams protein, whereas if the scone is a smallish medium scone it should contain about 300 calories with 7 grams fat, 21 grams carbohydrates and 4 grams protein. How many calories in clotted cream? Clotted cream has 572 calories in it per 100g, which is 62 grams of fat. We reckon a very generous portion of clotted cream is about 40 grams which makes the total calories 230kcal. A conservative serving of clotted cream would be more like 25 grams which would make the calorie count 143kcal.